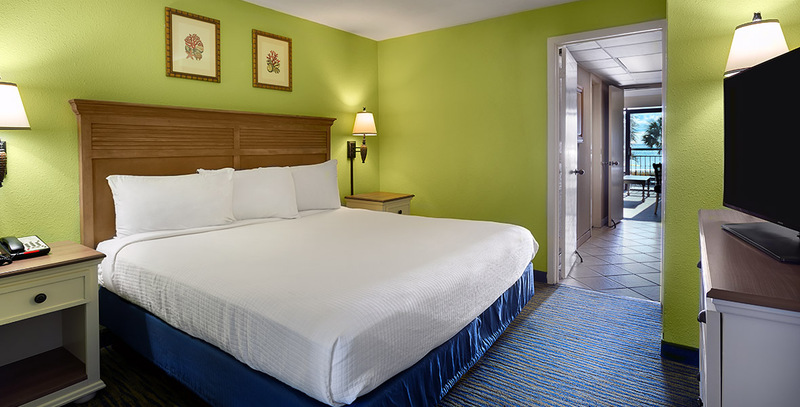 Our Oceanfront King Suites with Wheelchair Accessibility are equipped with one king bedroom with its own TV and one bathroom in the common area. The bathroom has bars around bathtub and toilet and features an open bathroom layout. The room doors and hallway are widened for wheelchair access. 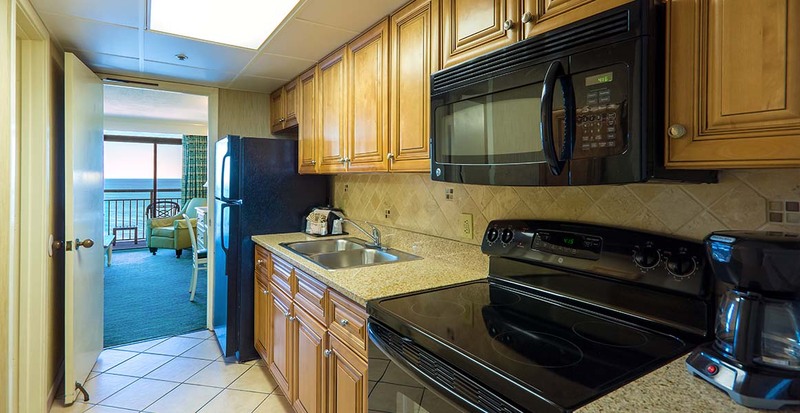 There is a galley style kitchen with a flat top stove, sink, microwave, coffee pot, toaster and full-size refrigerator. Basic dishware and cookware are provided. The kitchen sink is designed for roll-up access. 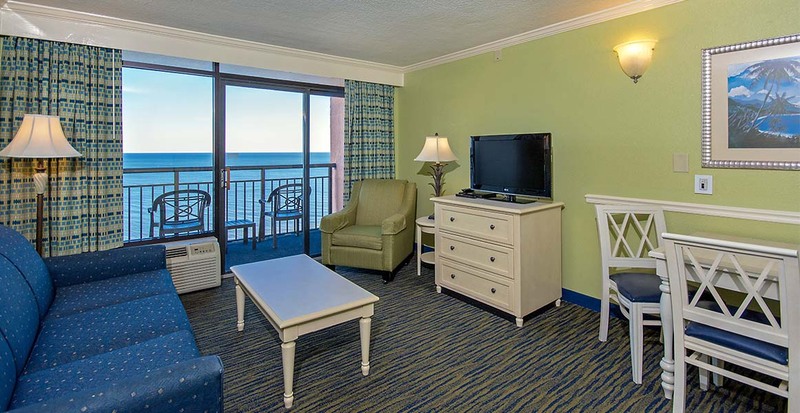 The living room has a sleeper sofa, a double-size murphy bed, a 2 person table and a private oceanfront balcony. 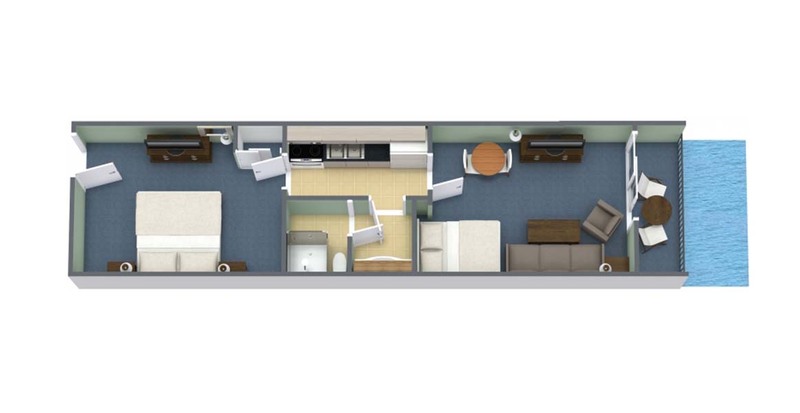 This unit is provided with a hair dryer, iron and ironing board, in-room safe and wireless Internet access.